This Loundoun County boat ramp is near the Point of Rocks Bridge at Route 672 in Loudoun County, Va. It includes a concrete boat ramp and an unpaved parking area for approximately 10 vehicles. The ramp is one of the few access points to the Potomac from Loudoun County. 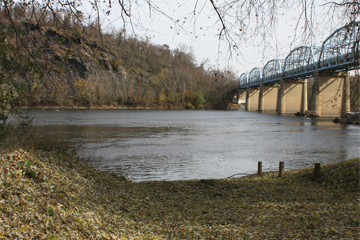 Access is from Lovettsville Road directly upstream of the U.S. 15 bridge across the Potomac. Popular boat trips are from this site downstream to White's Ferry or Algonkian Park; or as a takekout point for trips from Brunswick, Md. A larger and more developed boat ramp is directly across the Potomac at Point of Rocks. The Point of Rocks boat ramp was relocated and reconstructed in 2010 and early 2011.